Chetvertyi kontsert dlia fortepiano (levoi ruki) s orkestrom. 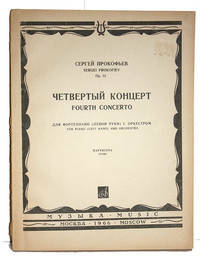 Fourth concerto for piano (left hand) and orchestra, op. 53. Moskva: Muzyka, 1966. Stiff paper wraps. Very Good. Quarto. 81 pp. Full score, stiff paper wraps, quarto, 11.5 X 8.75 inches. Plate number 3400. 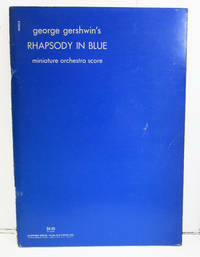 All transposing instruments written in the key of C.
Rhapsody in Blue; orchestrated by Ferde Grofé. c. 1922, 1944. 47 pp. 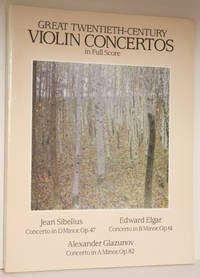 Very good, octavo, 10.5 × 7.5 inches.. Orchestra study score. Portrait of Gershwin on title page. Hard Cover. Fine/Fine. Octavo. 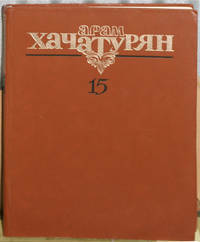 x, 198 pp. 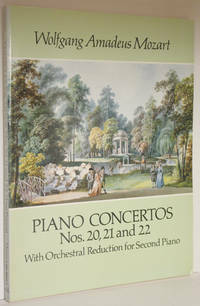 Fine octavo in fine dust jacket. Index included. Contents: Johannes Brahms Collection of Deutsche Sprichworte (German Proverbs) Edited and Translated by George S. Bozarth; The Brahms-Joachim Counterpoint Exchange, or, Robert, Clara, and "the Best Harmony between Jos. and Joh." 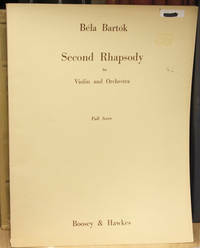 by David Brodbeck; Contradictory Criteria in a Work of Brahms by Joseph Dubeil; "Concertante Rondo" to "Lyric Sonata": A Commentary on Brahms's Reception of Mozart by John Daverio; Brahms's Cello Sonata in F major and its Genesis: A Study in Half-Step Relations by Margaret Notley; An Unwritten Metrical Modulation in Brahms's Intermezzo in E minor, Op. 119, No. 2 by Ira Braus; Brahms on Schopenhauer: The Vier ernste Gesange, Op. 121, and Late Nineteenth-Century Pessimism by Daniel Beller-McKenna. New York: Dover, 1995 viii, 197 pp. With insignificant rubs and bumps to corners, text block clean and white. Koechel verzeichnis 466, 467, and 482. 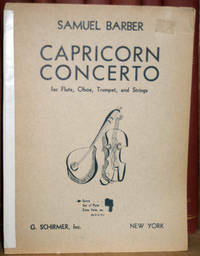 ''Originally published separately: New York : G. Schirmer, 1901, in series: Schirmer's library of musical classics.'' 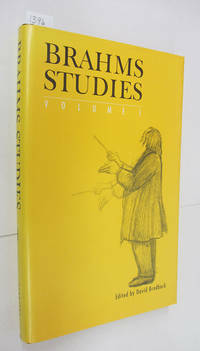 Edited by Franz Kullak and Hans Bischoff. . Wraps. Near Fine. 9'' X 12''. New York: G. Schirmer, 1945. 35 pp. Full score. Spine reinforced with library tape, wear at extremities. ''In the concerto--the string section represents the house proper, while the solo flute oboe and trumpet represents the two wings and the guest room, or, in that order, Barber, Menotti, and Horan.'' --Philadelphia Evening Bulletin, 1947. Lou Harrison--''The charming combinations he achieves with the wind concertino are very telling indeed and produce a bubbling opalescence. . . . Barber has tremendous technical grasp and an essential urge to expression.''. Wraps. Good. Folio - 13'' X 10.5''.